to engender sustainable practices that conserve planetary resources. As Choice’s story evolves, so does veganism, specifically in Miami but also abroad. As a restaurant serving 100% plant-based food, Choices Cafe has filled a large void in Miami. Vegan restaurants have long-been thriving in cities such as New York and LA, and continue to grow in numbers. Consumers have become much more conscious and discerning in regards to what they will consume when dining out. Choices Cafe has proven that diners are enthusiastic about organic, freshly made food that is hearty and taste-worthy. Few of the restaurant’s consumers are exclusively plant-based eaters. In fact the vast majority of the customers who enjoy Choices are omnivores. Most patrons come because of the taste of the food and the reputation of the café, rather than any vested interest in the missions or in veganism per se. The true secret to the success of the restaurant has been catering to everyday folks who want to feel good as well as savvy people who know that their health is worth the investment. The scrumptious and nourishing entrées at Choices are influenced by strong Latin flavors, but the inspiration for the food is global. The café prides itself by offering fusion versions of American staples such as burgers, pizza, sandwiches and salads, while still including ubiquitous worldly offerings such as mushroom quesadillas and extraordinary explorations such Nori seaweed wraps. Exotic meals embrace Latin American spices like cayenne pepper and delicacies like cactus, and even Indian and Asian essences, such as curried or ginger-miso soups. The cafe also offers a wide variety of options for other dietary considerations. Indulgences such as house-made dairy free cheesecakes and coffee crumble cakes are made available to folks with the increasingly common sensitivity to gluten which is otherwise a common restriction when dining out. As modern food interests and preferences evolve for items that are “nut free,” “soy free,” etc., Choices Cafe has been ahead of the trend, already having perfected the combination of allergy free food that also can satisfy even the most meticulous palates. Above all, Choices Café prioritizes organic, nutritious foods and produce. The café ensures that greater than 95% of all its ingredients are grown without pesticides, always preferring organically certified items. Choices Café preserves nutrition through preparation practices that retain the phytochemical compounds that make the foods innately healthful. The brothers established the café to create a lasting impact on visitors to recognize the excellent value and wonderful taste of plant-strong meals. The restaurant reveals the true lusciousness of vegan cooking. A large proportion of the customer base is comprised of returning clients because the rich flavors of the food convince them to revisit again and again. From the very beginning, the founders of the café established a goal to inspire such ordinary individuals to recognize that healthy food can be mouthwatering and that plant-based foods can provide benefits for everyone. Ultimately, the mission has been a success. The community has embraced the concept. After less than a year and a half since opening, the small but successful business is now expanding to more locations. The restaurant has earned both commendation and demands for more. The founders and their team at Choices Café are confident in their ability to thrive in the coming year. By increasing the capacity to serve the burgeoning customers in a larger and even more functional location, Choices will simultaneously augment the food production capacity of its bottled and ready-to-go foods, build the capacity to serve to more numerous corporate catering requests, and establish a venue for lectures, films and activities which underscore the merits of the sorts of foods the restaurant excels at producing. 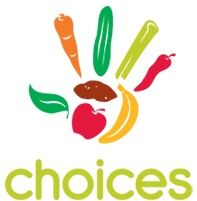 Throughout their coming expansion, Choices Café will continue to foster the mission to promote healthy, delicious, compassionate eating.